A well-matched TV stand is a pleasure for all lovers of technological entertainment in your family – it allows you to expose your TV set, your stereo system or your favourite collection of CDs and DVDs. However, furniture does not always match rapidly developing technology or modern, minimalist interior. So if you have at home a fan of latest devices in the market or you just want to choose a designer piece of furniture that matches well the decor of your room, check our wide selection of trendy TV stands. The next generation game consoles and ultra-high-definition TV sets are devices that look definitely better in the company of modern furniture. Their slender shapes and the use of contrasts of black and white can be an important accent of the living room interior which immediately draws the attention of your guests. Where should you to look for such kind of equipment? 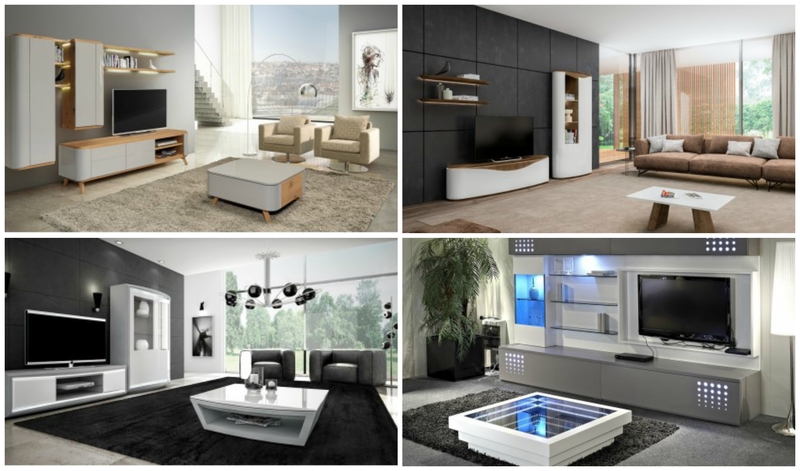 Choosing a modern piece of furniture that meets your different needs is a challenge. Are you forced to buy a nice but useless TV stand? 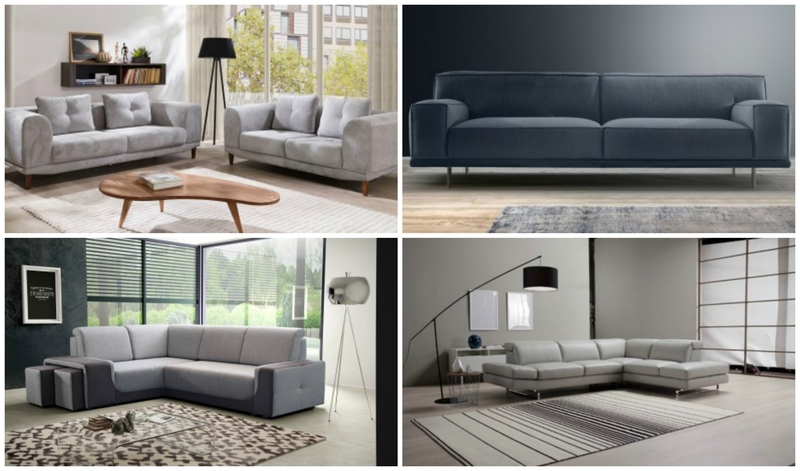 Of course not – we will show you how to choose a modern piece of furniture that at the same time pleases the eye and has a lot of useful functions. When you want to buy a nice and functional TV stand, a game console, or a stereo system, it is advisable to plan it and answer two basic questions. 1. How many devices does a modern TV stand have to store? 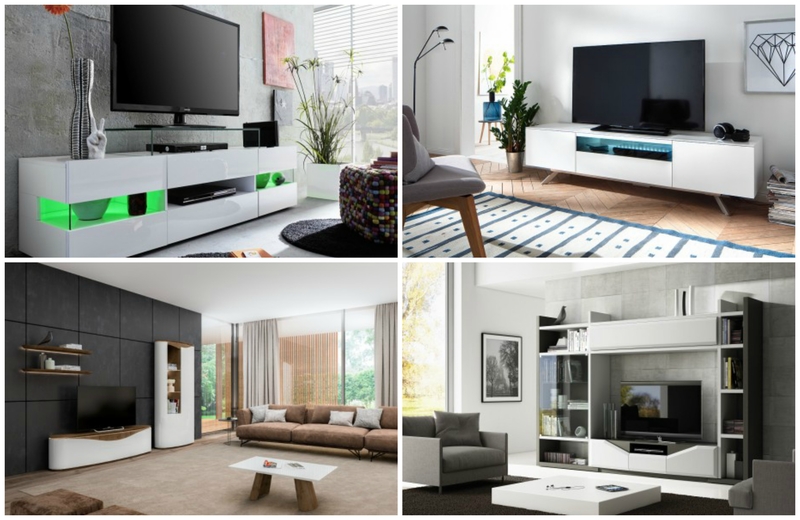 Choosing a TV stand should be based on your needs – so define them at the very beginning. If the piece of furniture stands in the living room – home entertainment centre, it should have the right space. A good choice is PALMIRA II TV stand. Thanks to the large number of drawers, shelves and its width, it can easily store different kinds of devices. An additional advantage PALMIRA stand has are the air vents to help you organize the wiring without disturbing the interior. Another modern solution that will surely store a lot of devices is PRIMO wall set – open space, large top give you plenty of room to store CDs, DVDs or even books. 2. How much space are you able to arrange for a TV stand? Although interior design is minimalist and follows “less is more” principle, the choice of the right stand for the TV set should be determined by the size of the room where you want to place the piece of furniture. You can save a lot of space thanks to BOX collection, which allows you to create very different interior compositions from modules depending on the size of the room. For example, if you want to place an LCD TV in your modern but small bedroom or your child needs a separate space for a console in his or her already crowded room, the solution is ILUMINATI I. Its width and height is compensated by six deep drawers. Thanks to them, everything that can’t be stored on the top, can be easily hidden inside. The choice of a modern TV stand is determined not only by the general style of the room. You should also consider what kind of equipment you are planning to buy and how much space you have. If you keep it in mind, you will definitely be able to present your TV set or a stereo system in an attractive and functional way. Good luck!